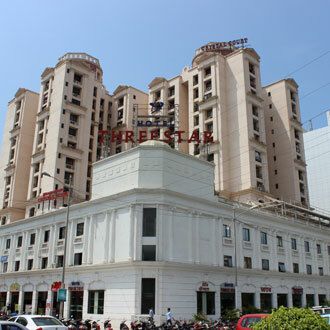 Located just 40 kms away from the international airport, this 3 Star hotel houses 43 contemporary rooms to stay. Guests can relish a multi-cuisine fare at Swaraj Restaurant, which serves both vegetarian and non-vegetarian dishes. Corporates are also facilitated with a business center and a banquet venue to conduct seminars and conferences.